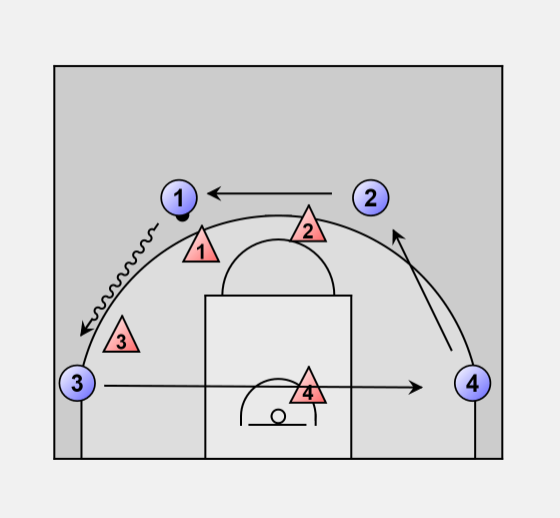 Defensive shell drill, practice defensive movement. 1 dribbles to the corner. 4 takes the position of 2. 3 goes to the 4 spot. • See ball and man. • Hand in pass line. • On the line up the line. Focus points may vary depending on your defensive philosophy. Pass back from 1 to 2. 2 dribbles to the corner. 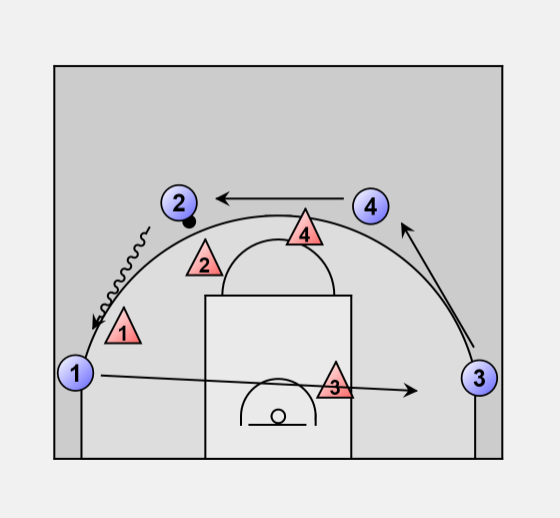 3 takes the position of 4. 1 goes to the 3 spot.